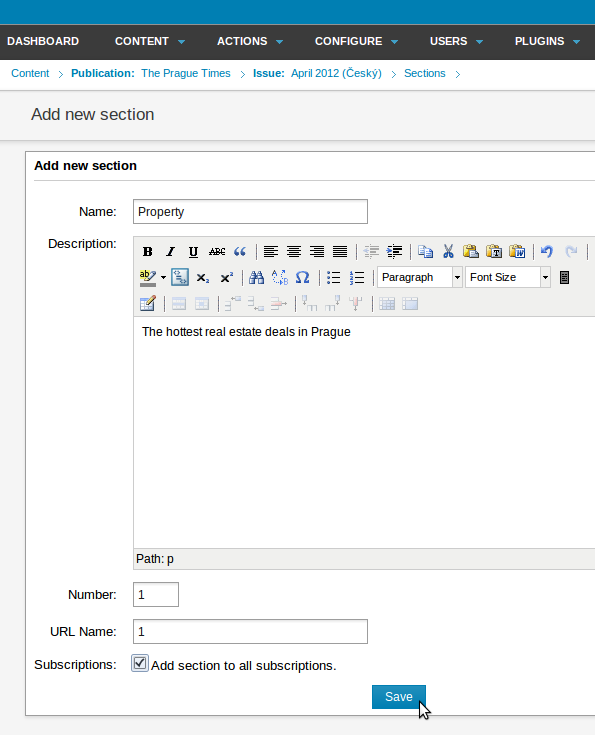 Click on Content in the main menu, then the name of your publication, to view the Issue List. By clicking on the name of an issue in the Issue List, you will enter the Section List. At first, a new issue will have no sections. The section Description is optional. This field is useful for displaying content that doesn't change very often. 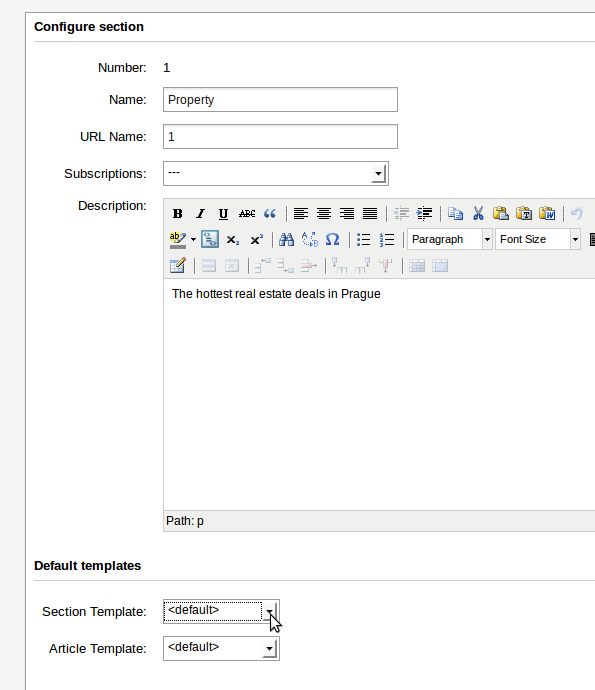 The information in this field will only be displayed on your site if the theme you are using supports it. If you would like to make the new section available to all existing subscribers, you should check the box Add section to all subscriptions. Then click the Save button.